WPP today announced the merger of iconic ad agency Young & Rubicam with digital marketing shop VML as new CEO Mark Read puts his mark on the ad/PR combine. 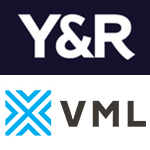 Set to officially debut in 2019, VMLY&R will feature Y&R's creative and brand advertising savvy and VML's digital expertise to offer integrated communications services to client. Jon Cook, VML chief, will helm the merged shop and report to Read. David Sable, ex-global head of Y&R, will support Cook. Read said VMLY&R, which will have more than 7,000 staffers, is an important step in his effort to build a simpler WPP, where clients have easy access to its range of services.